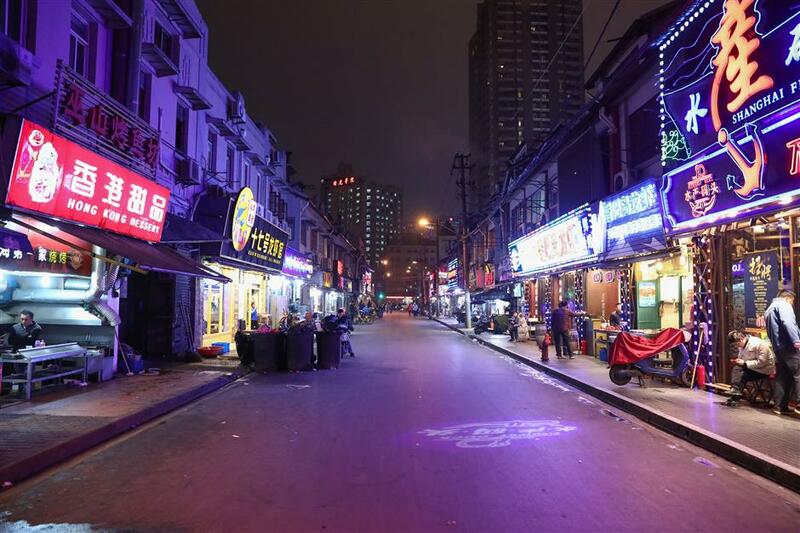 About 80 percent of the restaurants on Shouning Road will be shut down by summer, the Huangpu District market supervision authority said yesterday. Shouning Road, as seen yesterday. Most of the restaurants on the 200-meter-long street selling crayfish dishes and barbecue have been ordered to shut down or change businesses by this summer. Unlicensed and illegal eateries on the so-called “Crayfish Street” are targeted amid a citywide campaign to regulate roadside businesses. 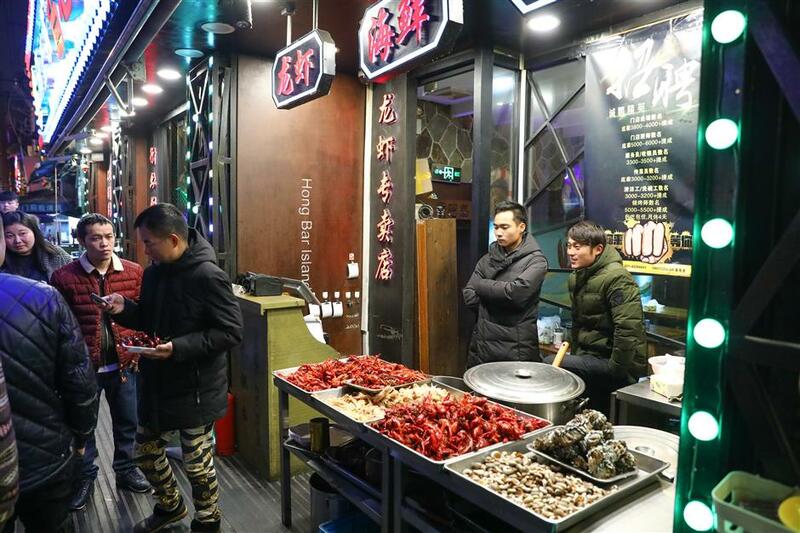 SHANGHAI’S market watchdog is cracking down on unlicensed and illegal eateries on the so-called “Crayfish Street” amid a citywide campaign to regulate roadside businesses. About 80 percent of the restaurants on Shouning Road, most of them selling barbecue and dishes made of crayfish, will be shut down by summer, the Huangpu District market supervision authority said yesterday. The 200-meter-long street, about 20 minutes’ walk from Yuyuan Garden, has 57 eateries and has been a popular night market since 2003. Diners can be seen huddled around tables on the street, devouring crayfish, on hot summer nights. But authorities said they found only nine restaurants with business licenses and food business certificates. Thirty-nine of them only had business licenses, meaning they didn’t have the papers to operate a food business. The others were simply doing business illegally. “These unlicensed businesses will be shut down, while those with licenses will be ordered to regulate their businesses,” a market watchdog official said. The legal eateries can continue running their businesses. Usually, the first batch of diners come around 5pm, said Song Wang, an owner of an eatery named Wei’s Crayfish, one of the few legal ones on the street. “Our business won’t be affected by the crackdown, because most diners are regulars,” Song said. Crayfish business has taken a hit over the last few years following reports that some restaurants were serving harmful crayfish in some cities. The popularity of food delivery business also affected the traditional way of enjoying crayfish. “The latest crackdown will surely affect the business even more. The ‘Crayfish Street’ may disappear soon,” a restaurant owner said. But residents living close by are welcoming the crackdown, having lived through the stink, smoke and the noise for a long time. “The street is always oily and filled with dirt. Every other day motorcyclists slip here,” Tang said. The residents also point to the kitchens of the eateries that pose fire hazards. “Please shut down all these restaurants and end our suffering,” said Chen Deliang, an elderly resident of Wenyuanfang Lane close by. “Even though the city is developing rapidly, my living environment is only getting worse due to the ‘Crayfish Street,’” Chen said. However, travelers and expatriates say they want to see the traditional food markets retained. “It is quite interesting to walk on these kinds of streets with typical Chinese restaurants and stores. It is fun for tourists,” said Andy Brazeau, a traveler from Canada.